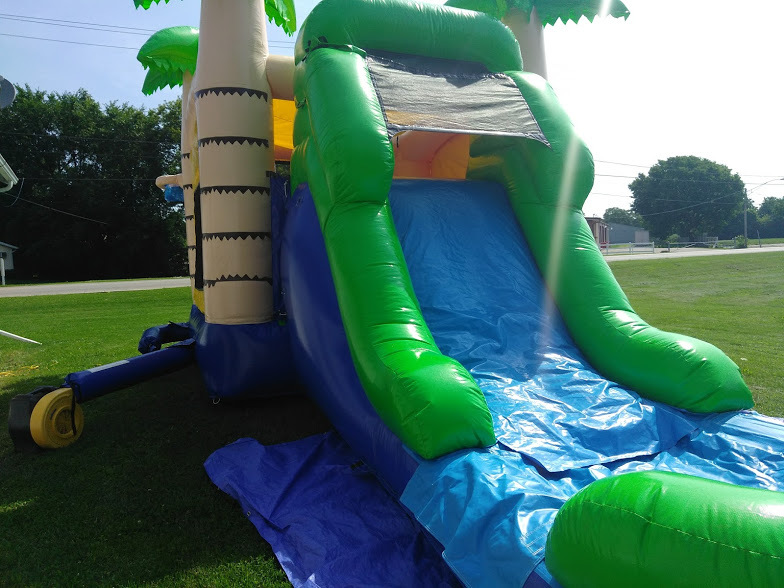 Enjoy super bouncy sliding fun with water with the Tropical Animal Kingdom Bounce House Wet or Dry Slide Combo. Towering palm trees stand around your bouncy house to give it a tropical feel no matter where you live. Enter the safe closing bouncy house and jump, bounce or try to make a basket through the enclosed hoop. Then climb the rock wall up to the giant slide. For even more fun on a hot day, attach a hose to the slide for a wet water slide that ends in the splash down pool at the bottom. 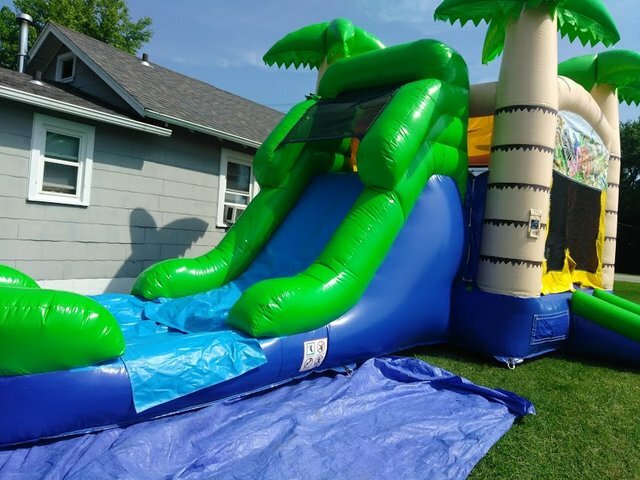 Make your next backyard celebration a big hit with the Tropical Animal Kingdom Bounce House Wet or Dry Slide Combo inflatable. It's fun for kids, and just as much fun for adults! 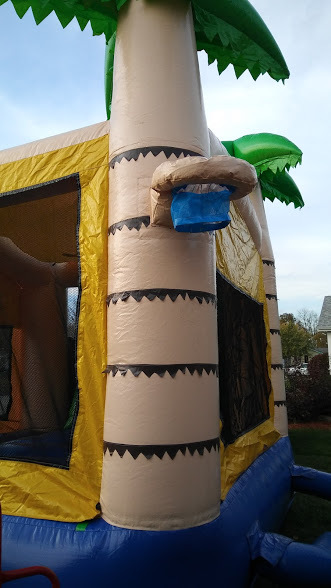 This Tropical bounce house is perfect for birthday parties as well as parties with beach or Hawaiian luau themes. Features a basketball hoop both inside and outside the bounce house for added fun!